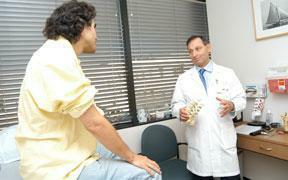 We understand that traveling with a back problem can be difficult and unsettling. That’s why we enable a person to talk with either Dr. Regan or his clinical staff to determine if a visit to our center would be beneficial to you. For residents of California, Montana, and Texas, a person can consult directly with Dr. Regan by phone for a consult fee, because Dr. Regan's private practice is licensed to practice in those states. He can provide consults and second opinions over the telephone to those people who live in these states for fees of $350 (for the telephone consultation) and $15 (for the return of X-rays, MRI's, or CT scans to a patient). An in-office consultation can be arranged for $750. Because this involves significant time for our practice to receive your information and diagnostics, and for Dr. Regan to review your case in advance of your call, there is a fee for this consultation. A second opinion from a nationally respected spine specialist may also reassure that you have considered all treatment options for your particular problem. For people across the United States, Dr. Regan's clinical staff can review aspects about your case and answer general questions that would enable you to decide if traveling to our center would be beneficial to you. If you would like to send us information about your spine problem via a short online questionnaire, CLICK HERE. Those people in California, Montana, and Texas who wish to pay $350 for a phone consultation, please follow the instructions listed below. 1. To obtain a second opinion, call 310-254-9098 or email nicole@spinegroupbeverlyhills.com to schedule a date and time for your 15-minute phone appointment. 2. Open, print and complete the New Patient Registration PDF listed below. Upon completion, please fax to (310) 595-1063 or mail to Dr. Regan’s office. This history will be used by Dr. Regan to document symptom location and duration and previous treatments for the condition. 3. Place Dr. Regan’s name on each film jacket and arrange to send your films (X-rays, MRI’s or CT scans) with a tracking service (e.g., FedEx, UPS) to Dr. Regan. When you are scheduling your appointment, please ensure that you can deliver the films to Dr. Regan at least 3 business days before your appointment. Dr. Regan will review your Medical History and your films in detail before your appointment. Your films will be returned to you a few days after your phone appointment. 4. 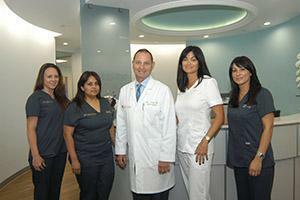 Call Spine Group Beverly Hills at the time of your appointment. During this time, Dr. Regan will review your films and history with you, and offer his opinion. If you are located outside California, Montana & Texas, Dr. Regan cannot review your case or provide you a telephone consultation specific to your case. An in-office consultation can be arranged for the fee of $750. But to help you determine if it would be beneficial for you to travel to our practice in California, fill out the brief form on the contact us page by CLICKING HERE. A physician assistant (not Dr. Regan) will provide a brief review and email you back a brief note if a trip to our practice for an evaluation would be productive. We cannot review your case through this form.